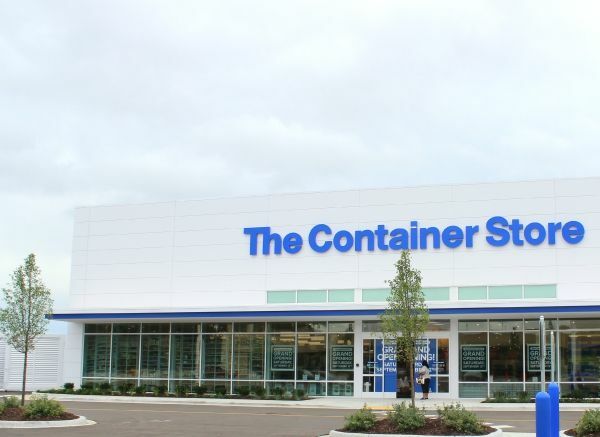 Last week I had the excitement of attending a blogger preview of The Container Store at Mayfair Mall in Milwaukee. Then, I came back to attend the grand opening to do a little shopping & cover the event for the Fearless Fashionista blog. This is super exciting because it's the first store in Wisconsin! It also came at perfect timing since I've been on a huge organization kick (see my progress here). It was my first time stepping foot in a store and it did not disappoint. Its layout & displays were a visual merchandising dream. Everything is colorful, easy to find, and there's tons of options that won't break the bank. I wanted to share a few of my favorite pieces from my visit to the store. These colorful office supplies are right up my alley. 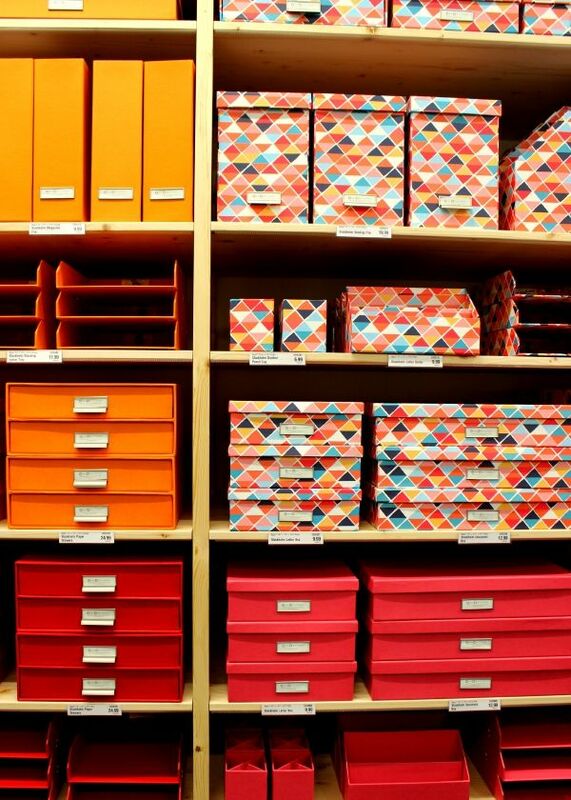 Seriously.. gimme all the hot pink storage boxes! 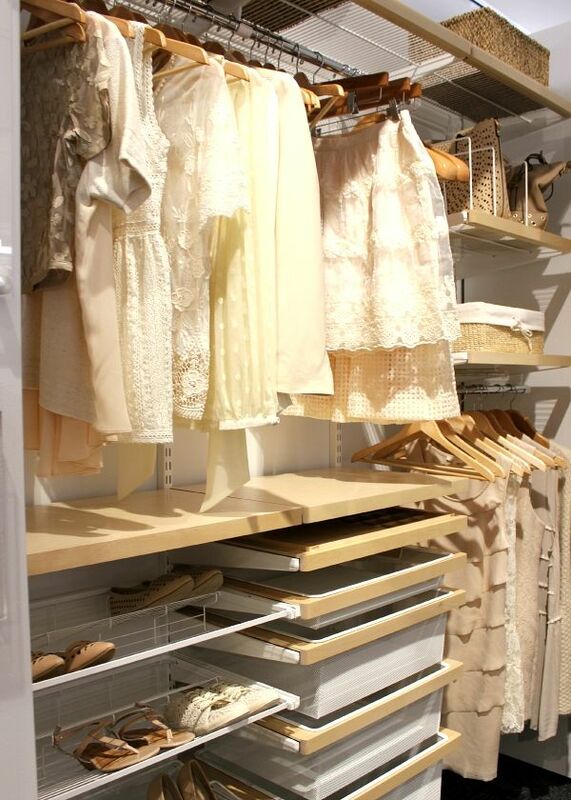 The Elfa storage systems gave me major closet envy- a place for everything! 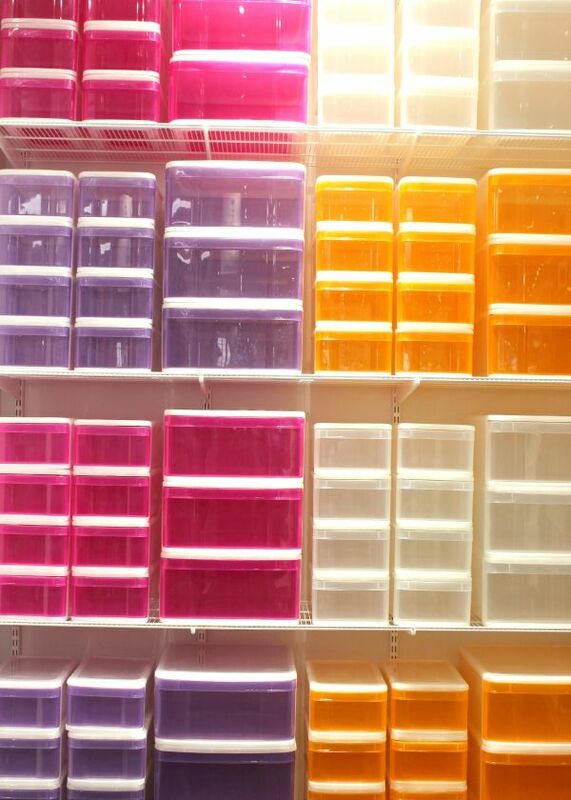 I mean, even the plastic storage bins are visually appealing in the store! 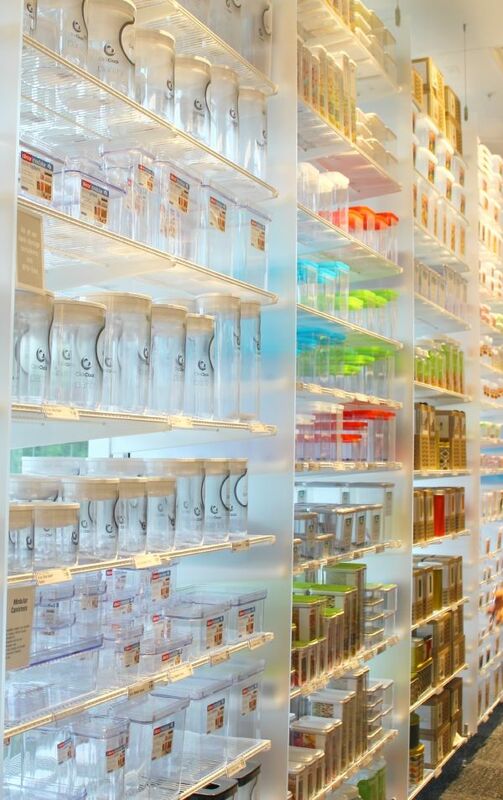 This wall of foodstorage has me ready to upgrade all my plastic Tupperware to something sturdier. They had all of these fab floral filled product displays in prep for a pre-opening party. Some great entertaining inspiration, don't you think? Besides the awesome drawer dividers & acrylic make-up organizer I brought back with me, another highlight was finally getting to meet Rachel of A Detailed Palette! The Container Store partnered with nonprofit, Junior League of Milwaukee, to give back 10% of all of the sales from the opening weekend. I had a blast shopping and already put my finds to good use giving my dresser drawers an organized KonMari style makeover. 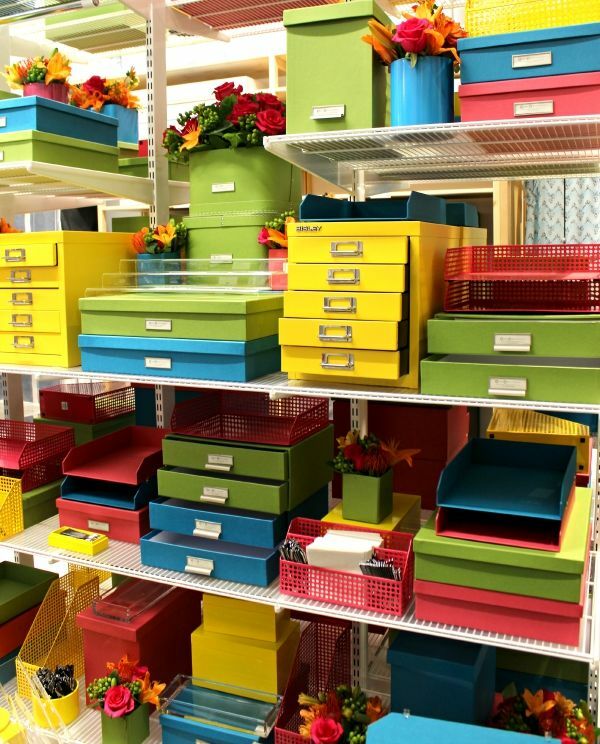 What's been your favorite organizational makeover? I'm always looking for tips and even have a Pinterest board to keep me inspired! This reminds me of those Japanese home stores. They have a different storage container for everything. It's quite amazing what they have in stock!